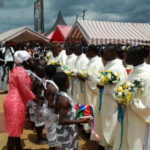 In his homily, Archbishop Nketsiah took his time to explain the three-fold functions of a priest which are derived from that of Christ himself as a Priest, Prophet and King. 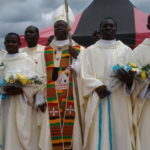 In ordination, the priest becomes a prophet to proclaim the Good News of Jesus to the people. 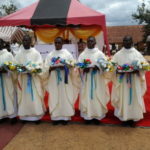 Like the prophet Isaiah who had a vision during his call, the Archbishop urged those to be ordained to have a vision and also allow their vision convert them for the task they had decided to embrace. 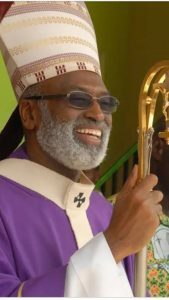 He told them to shepherd the flock of God in humility and accept whatever comes to them from the people with grateful hearts. 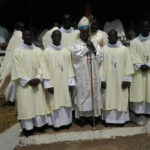 He charged them to eschew all forms of hypocrisy and carry out their ministry wholeheartedly. 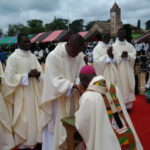 The Archbishop further told them to keep the vows they would take especially that of Obedience so that they would be able to work with everyone in the Archdiocese and beyond. 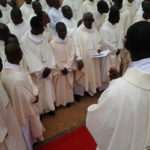 To the faithful, the Archbishop asked for their continued support in prayers for the priests so that they could serve them in the way God desires. 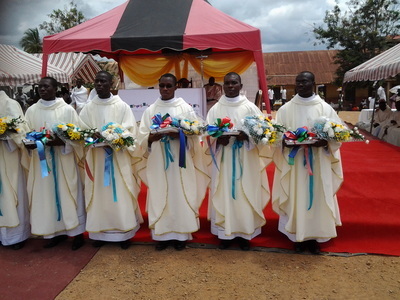 The newly ordained were from Bisease, Mankessim, Moree, Ketekyiase-Nyankomase, Hemang, Dunkwa parishes and Yamoransa.